Jack walked past them and he rubbed his neck and some kind of bad looking scar appeared down his neck and disappeared under his shirt suddenly. Red trotted over quickly. “What? Aw maaan. Well it's an easy fix.” he said, putting his hands on the back of his neck, casually to hide the scar discreetly. “You see that?” Vicky asked Ice quietly. Strikemaster Ice nodded as he looked at Jack with concern. “Should I ask?” Ice asked Vicky back quietly. “Maybe… but you might not like what you see if he shows you…” Vicky replied in a whisper. “...Man I’ll just get it over with, or else it's gonna eat me up” Ice replied. He let go of Vicky’s hand and caught up to Jack. “Yo dude, you a’ight?” he asked him. “Hm? Yeah I’m fine. Just dealing with some old scars, that’s all. They aren’t pretty so I cover em up. You know how good lookin' we Fitzgerald boys are.” Jack said before he looked at Ice and there was now a scar on his face over one eye. “....Whatever you say, man…” Ice sighed a little. Jack and Red were showed to their room and their things were already there. “If you wanna see em come on in.” Jack said after it was clear that Ice’s room was right next to his brother’s. 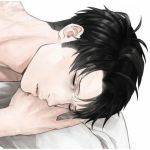 “A’ight…” Ice nodded as he followed his brother in. Once the door was shut Jack took off his shirt and across his torso and arms were all kinds of combat related scars and then across his back was an ugly set of scars that looked like they came from a whip. “What did they do to you, bro?” he asked quietly. “Punishment for insubordination… and I also took the blame for stuff so Danny and Manolo didn't have to take the whip… Better that it was just me than all of us.” Jack said. Strikemaster Ice got teary eyed. “Bro….I would so whip the people who did this horrible thing to you…” he said as he felt angry and upset at the same time. “Ohoho don't worry, bro. When we escaped. Me and the others returned the hurt tenfold.” Jack said. Red was digging through a bag then she popped up with a book and brought it to Jack. “Simple spell book.” Jack replied before flipping to a page and doing a quick spell and all the scars disappeared, leaving perfect skin behind. “There. Good for another six months.” Jack said satisfied. “Dang...well...as long as you're not in pain, then it's all good…” Ice replied. “Yeah well… if you don't mind me asking…. Is there something wrong with Vicky that she doesn't wear short sleeves or shorts?” Jack asked. Ice bit his lip and paused. “That ain't my business to share…” he finally said. “I choose to hide my scars. I keep em to remember all those we lost while in that hell. I can get rid of em permanently just as easy as I can hide em.” Jack shrugged. “Whatever you want, bro…” Ice replied, not knowing what else to say. “Later maybe...I’ll meet ya at the pool, bro” Ice said as he left the room. Ice found where Vicky’s room was at and went in when he saw that the door was open and she was sitting on her bed. “Vick...I gotta tell ya somethin’...” he said as he quickly sat down next to her. “What is it, sweetheart?” Vicky asked. “Listen...Jack showed me his scars...told me about em...but get this...he can hide em...and even knows how to get rid of them...for good...Vick...what if...what if he could get rid of your scars for good?” he asked her seriously with a glimmer of hope in his eyes for his girl. “That…. That would be amazing.” Vicky said astonished. “...He asked about why you don't wear short sleeves and shorts but I told him it wasn't my business to share...But...what if we asked him to get rid of your scars? Like today?” he asked. Strikemaster Ice looked at her surprised. “A….a’ight...Yo you sure you wanna go out like that?” he asked. Ice blushed a little. “A’ight...I’ll go get Jack then…” he replied. Ice then left her room, closing her door and went back into Jack’s room after knocking on the door and being let him. “Jack...bro...A'ight truth is, Vicky’s been hidin’ lots of awful scars from her abusive daddy, way back before Tag and Lydia found her and adopted her...We were wonderin’...If you would be willing to get rid of em all for her…” Ice asked somewhat quickly and hopefully. “Yeah I can do that.” Jack said getting up off his bed and grabbing his book. “A lot of it gets rid of the constant reminder of her biological father that’s branded on her skin.” Jack replied. “Yeah...and she will love to be free of him…” Ice nodded. Jack followed Ice to Vicky’s room and surprisingly they found Lydia in there with her and Vicky was wearing a bikini. And Ice finally saw the true extent of her scars, some even went under the swimsuit toward some more… private areas. They were horrible and all over. Strikemaster Ice first blushed as he couldn't help but admire Vicky in a bikini, but then he focused on the extent of her scars and he was horrified. “You're doin’ a real great thing for her, bro…” Ice finally said after his silence subsided. “Yeah… so many burn scars… It's horrible…” Jack said lowly. Vicky was gripping her arm nervously and she looked up at Jack and Ice then glanced at Lydia. “You ready to be rid of those scars?” Jack asked. “We’re ready when you are” Lydia looked at Jack. Ice nodded in agreement. Jack opened his book and he found what he was looking for then walked over to Vicky and placed his hand on her shoulder and her scars glowed red and she cringed before the light faded to blue and then disappeared, bursting outward in a shower of white magic sparks and her skin was completely clear. Not a scar to be found on her body. Vicky gaped and looked down at herself before spinning in a circle as she tried to look at her back. Was this for real?! Strikemaster Ice and Lydia gasped and looked at her as well. They couldn't believe the complete transformation of her skin! It was as if those terrible wounds were never inflicted upon her in the first place! “Moooooom! Loooooook! I’m pretty!” Vicky exclaimed. Vicky hugged her back and started to cry tears from sheer joy. Lydia held her close and Strikemaster Ice came over and hugged her as well, not even waiting for Lydia to break her hug. “I'm happy for you, baby girl…” Ice said as he hugged her, feeling touched by Vicky’s reaction. “I’m so happy!” Vicky said in a wavering voice. Strikemaster Ice hugged her a little longer and then went over to his brother. “Thank you so much, man…That’s some good magic” he said to Jack. “He is! I’ll meet you down there, darlin’” Lydia smiled as she left Vicky's room, thanking Jack as well before she left . “Yo I’ll get changed up and then we can by up the pool together!” Ice grinned. “Yes! I’ve always worn a surfer wetsuit to swim before this so this is exciting!” Vicky squealed. “Heh. See you guys down there.” Jack grinned before leaving the room. Before he left, Strikemaster Ice came back over to Vicky and pulled her close. “Okay.” Vicky grinned “See you down there.” she said before running off in her icy blue bikini. She ran down stairs and out to where the pool was and she whooped jumping in the air. She felt so free! “Heeeey! Look at the butterfly! She came outta her cocoon!” Kitty exclaimed loudly, pointing at Vicky and Pit Viper and Roundabout stared at her shocked. Tag looked up from his magazine and was so shocked he nearly jumped out of his pool chair. “Vicky! My heavens!” Tag gasped. “Vicky dear! You’re…not wearing a wetsuit...why the sudden change?” he asked. “Look! No scars!” she exclaimed happily doing a twirl for him. Tag lifted his sunglasses to look and he blinked to make sure he wasn't seeing things. “Jack got rid of them! Mom was there!” she said. She was constantly bouncing; she was worse than a hyper Roundabout. “Yes!” she exclaimed, nodding fiercely. Tag was still shocked that her scars were gone but finally smiled. Vicky giggled. “Alright, Dad. I’m gonna go swim now!” she grinned. A few minutes later, the Ice Crew came out in their swim trunks. “Ahhhhhhhh YEAH! Ready for some fun in the sun!” Strikemaster Ice grinned. “Chyeah man this is the best vacay EVER!” MC Cobra exclaimed. “Woah man….Vicky’s scars are gone, just like you said…” DJ Fist said as he could see enough through the pool to notice the transformation in Vicky’s skin. “That's awesome! Finally free in more ways than one!” Cobra smiled. “Yep, and it's so great for her. Let's kick it!” Ice grinned as the three jumped into the pool. “Thanks!” Vicky called back as she dumped water over Roundabout’s head and she squealed loudly. The Ice Crew laughed and started to play and swim around the pool, having the time of their lives. After a while Pit Viper went and grabbed a surfboard from a storage shed and went down to the beach to surf. She’d let the others enjoy the pool but surfing set her mind at ease. Which she needed more than ever at the moment. MC Cobra noticed her and quickly jumped out of the pool to follow. “Just wanted to go surfing. It calms my mind.” Pit Viper replied. “Yeah, bein’ out on the water does that for ya...Well if you wanna be left alone I understand. I’ll go back and chill with everyone else at the pool” Cobra said. “You don't have to go.” Pit Viper said. “If you wanted… we could surf together.” she smiled at him. “I’d like that” he smiled back. “There are other surfboards in the shed there or… we could share my board and surf it together.” Pit Viper said. MC Cobra blushed. “I…..I think I’ll kick it solo this time…” he replied. “Alright. I’ll meet you out on the water when you have your board.” she smiled at him. MC Cobra ran back to get a board and met back up with Pit Viper. He loved going out into the ocean. The pool was good fun with friends but the ocean was different...It took him to another place, and he always loved the peace and serenity that the ocean had to offer.